Date - Wednesday, September 30 2015. Kickoff Time - 1945 Hrs BST. Michael Carrick and Luke Shaw sidelined. Ander Herrera, Antonio Valencia and Marcos Rojo doubtful. Vierinha, Robin Knoche and Koen Casteels sidelined with injury. Luis Gustavo doubtful. 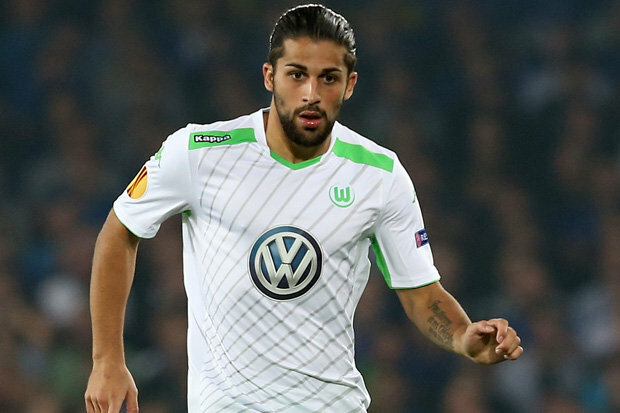 With the departure of Kevin De Bruyne to Manchester City, Ricardo Rodriguez remains the most consistently excellent player for Wolfsburg, coming off two seasons where he scored a remarkable 17 goals, and assisted another 14 goals from the left back position. Club record signing Julian Draxler and highest scorer Bas Dost are another couple of players to watch. I think Wolfsburg are going to draw at Old Trafford. Yep, that's our best available team for me. I'll be watching, as a neutral, hoping United win. Not going to happen but I would much rather have Herrera in for Rooney. We rarely win when Carrick doesn't start. One quick thing, do you think Valencia could be moved to the defenders list on the line-ups? Problem is he doesn't always finish. He isn't the Carrick of last season. That or swap Schneiderlin for Carrick. We need to win and Carrick and Schweinsteiger is a very experienced midfield. I don't think the line-up game remembered my line-up from yesterday's game by the way, had to enter everything from scratch. He's been in poor form, for him, but there's nothing wrong with his feet. If he lost another step he'd still be able to play for years sitting deep and spraying the ball. Amen brother. I don't expect it either, but then Van Gaal is the man to do it, if it's gonn happen. He's pretty ruthless, and this season he actually has replacements. 10 of this 11 are certs IMO, it's just a case of who partners Schweini, personally I'd go with Schneiderlin as well and have him sit on Draxler. Didn't Owen score for us against them? They were pretty average back then.. have they improved much? Tough game, would love to see Rooney dropped for Herrera but it's not gonna happen. Similar, mine would include Young and Hererra. Anything other than a win is a big disappointment. Interestingly, we also had CSKA in that group. That would be a fecking disaster. Must win is an understatement. SAF. Fecking mad man. What a manager. Can you imagine the meltdowns over the line-up prediction game if we could have done it then with that XI. That's one of the worst Sir Alex must have ever fielded. No fecking around, 2-0 win. Have to win this at all costs and if we do, we could even be first in the group as I think CSKA will beat PSV in Russia. They played against Hannover yesterday (arguably the worst team in the Bundesliga) and drew at home 1-1 with a full strenght team. Won't be an easy game but I have a good feeling that we can win this by one or two goals. I think he will have learnt from last game at PSV and not play Herrera in CM, he's just not defensively sound enough, I'd lie to see him start in the no 10 position but I'm not sure he will. Might be schneiderlin ahead of Herrera, but not sure as Herrera didn't play vs Sunderland, so he might just have been rested. I'd imagine we'll see a different midfield for every game over the next month with our tough games ahead. 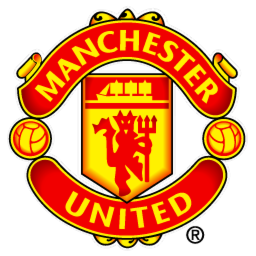 Champions league back at Old Trafford though, everyone should be well up for it after being top in the league as well so hopefully we get a good performance. Going for 3-1, martial, Rooney and Memphis to score. Can I just say I love being able to watch United more than once a week again! Which channel in the US/Caribbean is this on? Loving being back in the CL. Feels like we haven't had games this regular since the nineties or something. I know Rooney won't be dropped, but i would prefer the formation from last year without him right now. IMO we aren't getting enough of the #10 position, so i would prefer Herrera coming into the side as a extra cm. Three days rest is enough for players to get fresh. Herrera have not been impressing in the double pivot, so i don't think LvG will use him in this match. I wouldn't read into him not finishing. LVG is trying to keep him fresh. This season we've won every game he's started and failed to win a single game where he hasn't. Whatever you say about his form he is extremely influential. Same. Not as badly as I did a week ago though. Rooney was much improved against Sunderland, so shouldn't be too much of a disaster. What side does Draxler play on these days, and how is he doing? Don't massively fancy the idea of him up against Valencia with only Mata to help. Young to start probably. Though I hope Memphis does. Keep on thinking that next game he will have a blinder. Benaglio - Good goalkeeper. Has been there for a long time. Träsch - Don't know much about him. I thought Jung was better but Träsch is the one playing at the moment. Anyway, I don't think he's very good. Naldo - One of the absolute best centre backs in Bundesliga. God knows why he doesn't play for his national team. Dante - Is declining. Don't know any more about him than the average caftard I guess. Maybe Knoche will play? Rodriguez - One of the best left backs in the world. Extremly good in defense and on the ball. Not the quickest but he's quality. Arguably their best player. Caligiuri - Good player. Right footed, can play on both wings. Quick and good on the ball. Nothing extreme. Luiz Gustavo - Reminds me of Makélélé. One of the best defensive midfielders in the world, especially when it comes to defending. As you can guess, he's very defensive. Has been brilliant for Brazil, especially in the world cup as some of you remember, but hasn't played for them recently due to Dunga being an idiot. Draxler - Huge talent. Just turned 22 and has 15 caps for Germany. Very good on his day. Tall, very technical and two footed. Can play in any of the three positions behind the striker. Schürrle - We all know him. Don't think he has been very good for Wolfsburg though. Dost - Came out of "nowhere" last season and scored 16 goals in 17+4 games. 5 in 6+1 this season. 196cm/6ft5 is his height, and he's extremly lethal in the box. Kruse - Don't know much about him. They bought him from Mönchengladbach in the summer. He can play as a striker, second striker or attacking midfielder. Two footed and good on the ball. Wolfsburg is currently 4th, which is around where they belong, although I think they'll bypass Schalke and finish 3rd behind Dortmund and Bayern. They lost their main man in De Bruyne, but still have a very good team. We're definitely better than them though and I expect a nice win.